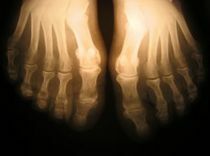 Corns on the feet are a common problem affecting people of all ages. 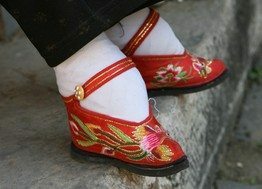 They are most common in women, especially those who wear improperly fitted shoes. Here are 3 natural foot corn treatments that work! 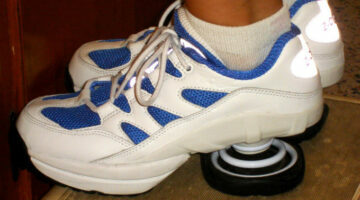 Of the 3 examples of footwear listed here, the Z-Coil name has the largest presence on the Internet. Overall comments about customer satisfaction appear to be overwhelmingly positive. Here are some things to think about before buying Z-Coil shoes. Plantar Fasciitis is a painful condition that affects the arch of your foot. Here are the symptoms and treatments for Plantar Fasciitis, including night splints, daytime braces, a Plantar Fasciitis soc, and helpful stretching exercises. For Olympians, it’s all about the feet. Here’s why. See how to do a reflexology foot massage — on yourself or someone else. You can choose to concentrate on the foot and ankle in general or focus on specific pressure points. Each yields different results. The good news: for most healthy individuals, a 5-minute foot rub per foot can be performed daily without any problem. So acupressure of the feet appears to be one of the safest ways to help yourself. And it’s easy, too!